To celebrate Songkran, Thailand’s Water Festival that marks the start of the new calendar year, we’re introducing a special banquet menu of modern Thai delicacies. 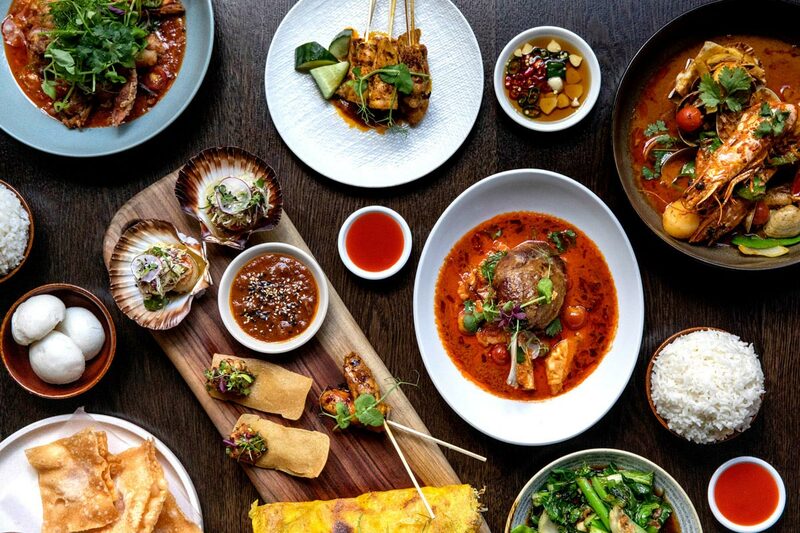 Launching this April to tie into Thailand’s most famous festival, the dinner tasting menu is $69 per person and features dishes that highlight the intense flavours that has made Thai cuisine a favourite among Australian diners. Discover new dishes such as the Slow Cooked Salmon with Beetroot, Chilli Powder and Spicy Mango Purée, classics like BBQ Chicken Skewers with Sticky Rice and Curry Paste, Slow Cooked Massamun Beef Cheek with Potato and Peanuts and delicacies like Salted Duck Egg Mousse with Pork Mince, Prawns & Side of Vegetables.